Yesterday I was talking to a friend of mine about her Type 2 diabetes and the struggles and successes she has had in the last five years. She lost her health insurance about a year ago and couldn’t afford the number of medicines and testing supplies she needed to manage her disease. At that point, she made a decision to continue taking the oral medications, but not the shots. This story is so very familiar to many people. Whatever the circumstances may be that lead a person to make a health decision, in the end it is a decision that is personal to them and only they can make it. We all make health decisions every day, by our actions or inaction. What time do you wake up? After you wake up, do you eat breakfast, go for a walk, head to the gym for a workout, pack a lunch, take your prescribed medicine, stretch or practice yoga? When lunch comes around, do you go out to eat with friends, head to the break room and eat your packed lunch with co-workers? 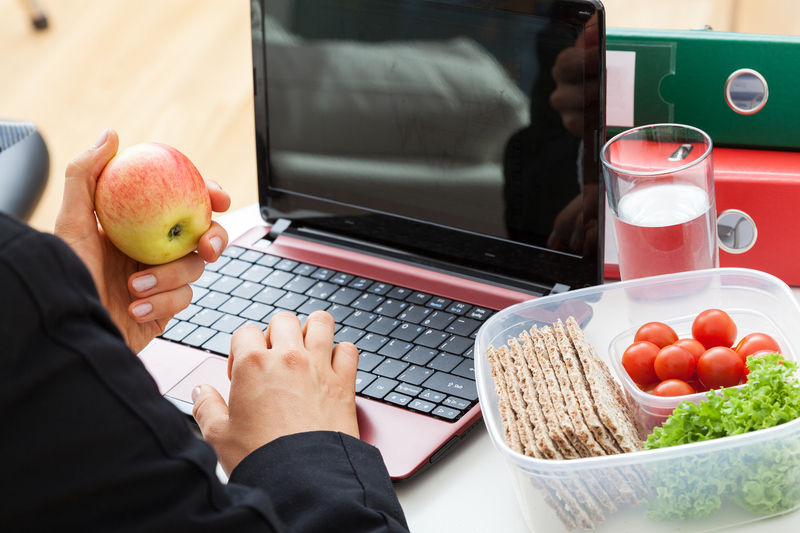 Or do you work right through lunch without taking a break or merely eat at your desk while working? Most people aren’t even aware those are conscious decisions, let alone health decisions. This lack of awareness keeps people from making the best or even good health decisions for themselves or their families. With health and wellness being so personal to each and every person, it’s important to become more aware and intentional when making such decisions. When we shop for a car, a house, appliances, a television or electronics, we tend to do our due diligence by researching, reading reviews, asking for recommendations from our friends and family, even asking for recommendations from professionals or on social media. We tend to spend more time and energy, and are more intentional about these material decisions than the health decisions we make every day. To become more aware and intentional when it comes to your health and wellness, ask yourself this question, “What do I want right now in regards to my health and wellness?” And try not to answer it as, “I want to lose 20 pounds,” or “ I want to look 10 years younger.” Your health goal should be based on a priority or goal you have, not based on something you want to fix or solve. When a person makes a decision based on a priority or goal instead of a problem or issue, it tends to be relevant, compelling and meaningful to the person. This is what speaks to people to make true behavior changes and stick with them. So do your due diligence when it comes to your health and wellness; keep asking the question until you have clarity about your priority or goal and make sure it is relevant, compelling and meaningful.